It's Thanksgiving Day here at SuperPhillip Central. We've eaten our dinner, watched some football, and now it's time for a new segment here on the site. We're all about turkeys today, but not of the avian variety. No, we're talking turkeys in the form of boss battles. In the past we've taken a look at some of our favorite fights in gaming history. Now, we do the opposite and tackle those boss fights that are awful, boring, forgettable, annoying, shoe-horned in, and/or just downright nasty. After you've seen the selections for part one of our new segment, please comment with some of your own! Super Mario Sunshine is our least favorite of the 3D Mario games. It hast he most obnoxious and less than wonderfully designed areas (e.g. the pachinko bonus level, The Secret of the Village Underside, etc. 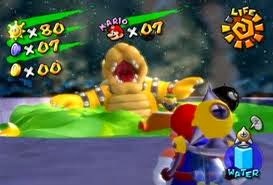 ), and it possesses our least favorite Bowser boss fight. The battle is underwhelming to say the least and doesn't have that epic feel to it. The trip through Corona Mountain, hovering across spiked platforms and riding a boat through a sea of lava, was more tense than the battle with Bowser. Using the rocket nozzle of F.L.U.D.D., the encounter is as easy as lifting off into the air and ground pounding the five weakened points of Bowser's bathtub. That's it. Sure, you have to contend with Bowser's flame breath, the occasional Bullet Bill, and acid overflow from the tub. It's a fight that is a breeze to beat, and considering the epic encounters seen before and after, it's easy to rank Super Mario Sunshine's final boss as one of the weakest in the Mario series. 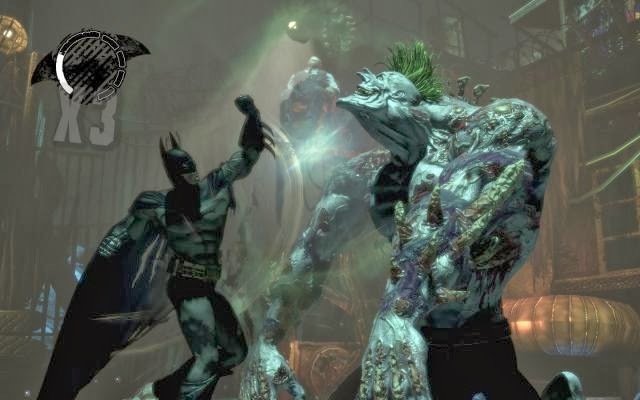 For a game which has a boss fight that is totally out of place, we turn to Batman: Arkham Asylum, specifically the final boss of the game. It's not just the Joker-- no, it's the Joker on the powerful Titan serum. Not only is this totally uncharacteristic of the Joker to be using pure brawn to take down Batman, but the fight itself isn't that much fun either. The Joker is a great rival to Batman not because he can match strength with the caped crusader. He's a great rival because he's incredibly unpredictable and mad. There's no telling what the Joker might do, and for a superhero that likes to play mind games with his enemies, Joker being absolutely crazy makes him a true test for Batman. Regardless, the actual fight is rather boring. First, you dodge Titan Joker's advances, and then he retreats to a high up platform where he calls in a bunch of henchmen to rough Batman up. It's another long-winded tiff between Batman and a series of generic grunts that players can probably get past in their sleep after this far into the game. After the last grunt is unconscious (or dead-- some of those knockout moves Batman does would kill an ordinary person), Batman can use his grappling hook to grab the steroid advertisement Joker and pull him off his platform. This dazes him enough for the Bat to get some nice shots in, taking Joker's health down a third. This pattern continues until Titan Joker falls for good. It's just a tiresome battle that goes on too long, and it completely fudges up what the Joker is all about. 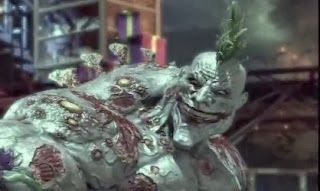 The latter issue might not matter to those who are casual Dark Knight fans, but for the rest of us, it was a pretty unflattering version of Batman's greatest enemy. Final boss characters in fighting games are notorious for being some of the most frustrating and cheap beings in video games. Of all of the more recent final bosses in a fighting game, none of them come close to the feelings of unfairness that Shao Khan gives players. For the uninitiated coming into this battle before a bloodthirsty coliseum audience, you really have no clue what you're getting yourself into. You most likely will be lucky to even get a hit in on the emperor, and even then, that little, small victory won't amount to much when the next minute your cursing out your TV, Vita, or computer screen. For one, Shao Khan is freaking fast. Additionally, his moves do a lot of damage, especially his X-Ray move, which actually damages the player twice. Once with a vicious curb stomp to crack your character's cranium, and again with a headbutt that again hits your character's head, just in case the first time wasn't enough to hurt it. He also doesn't mind spamming the same moves over and over again. 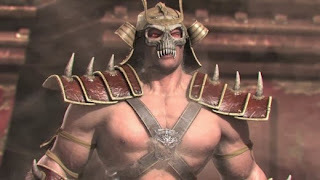 However, there is a strategy that can ensure a victory or two from Shao Khan that many Mortal Kombat players have used, basically saying enough is enough. When a final boss is this cheap, then the player must stoop to the AI's level. By using Liu Kang's fireball repeatedly from a distance, Shao Khan's health bar will slowly but surely drop, pending the player can keep the boss away from them. If a good portion of players need to use cheap means to beat a boss, you know it's a genuinely pain in the rear. Shao Khan is infamously one of the most obnoxious fighting game final bosses in gaming history. Speaking of out of place boss fights, the final encounter with Zoran Lazarević doesn't quite mesh well with the cinematic feel of Uncharted 2: Among Thieves. 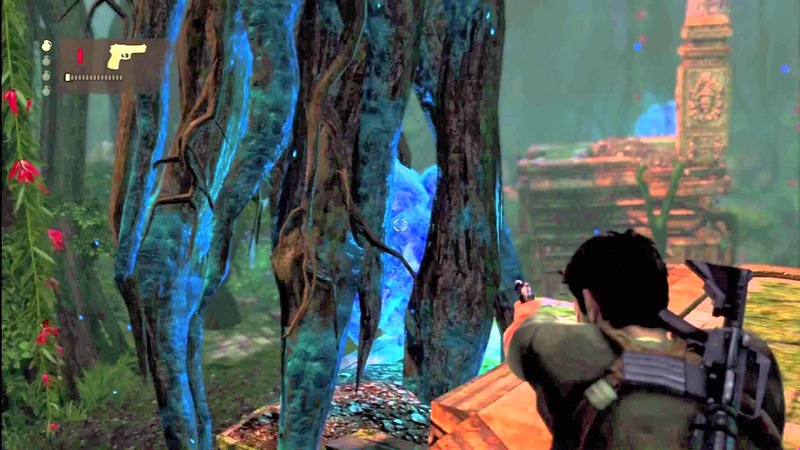 For something that wants to come across as a big action blockbuster Hollywood-like adrenaline rush, the boss fight in Uncharted 2 is rather game-y. It isn't much in the way of enjoyable either. 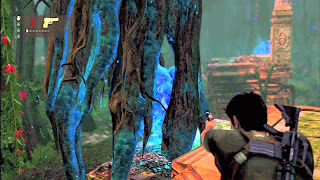 What you, as Nathan Drake, essentially do all battle is run around the arena in a circular pattern, occasionally turning back when enough distance is between you and Lazarević to shoot blue blast pods when Drake's enemy is near one. This dazes him long enough for Drake to pump some lead into the cold-hearted foe. By the tenth lap you've made and the twentieth time you've been told to stand your ground and fight like a man, tedium begins to set in. It's a battle that doesn't diminish the overall package of Uncharted 2, but it sort of ends the gameplay on a sour note.